Mumbai musician, Cerejo has been making his mark in the industry for a very long time as a vocal arranger, programmer, producer and a vocalist, often behind-the-scenes. His name has been associated with projects like Enthiran, Lagaan, Dil Chahta Hai, Kal Ho Naa Ho, Saathiya and every project of Vishal Bharadwaja��s since Omkara. As a singer, Cerejo gave us hits like Endrendrum Punnagai from Alaipaayuthey. Plus, he composes for commercials and his new band, Anathaal. 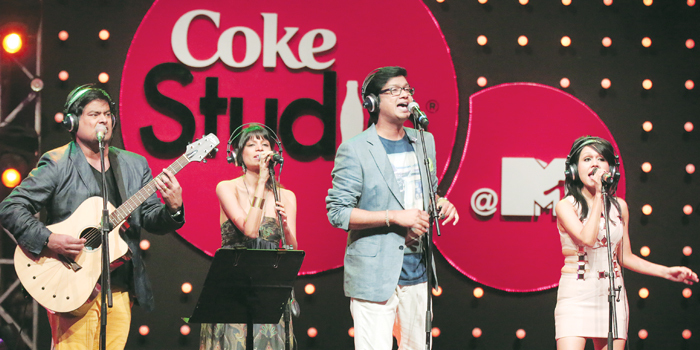 However, it is MTV Coke Studio, not Bollywood that has made him a household name. Last year, the singer got recognition for his song Madari with Vishal Dadlani on the showa��s third season. This yeara��s edition, aired last month, saw him belt out six songs, collaborating with artists like Bianca Gomes, Vijay Prakash and Sonu Kakkar. Together with his band, Anathaal, he performed the song Aisi Bani on the show. a�?a�?Over the years, MTV has become a great platform for artistes to showcase their talent. You do not have to get briefs from people while composing music, you can compose your tunes and present it,a��a�� says Cerejo, who is composing the background score for the movie, Dedh Ishqiya. a�?a�?The music in the album will be a mix of pop, rock and jazz. As a band, we are also planning to travel to different parts of the country,a��a�� he says.